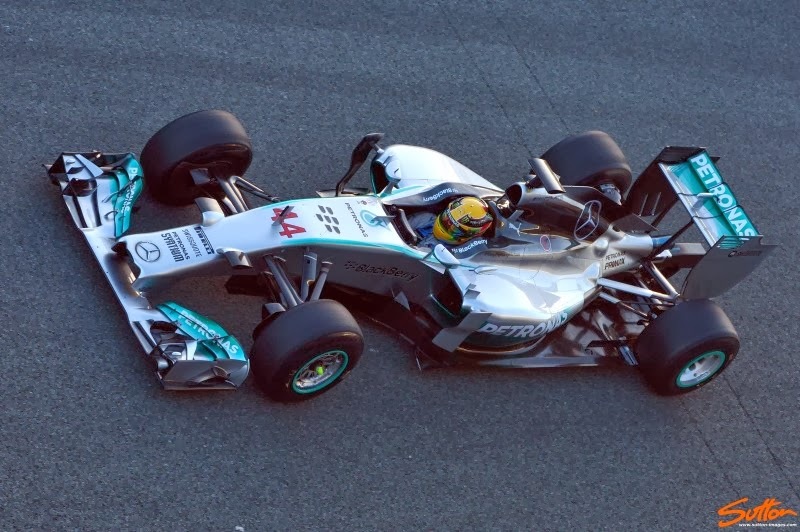 No shadow of a doubt, Mercedes were the most improved team of 2013. The Silver Arrows upturn in form came as a surprise to some of the paddock as they often topped the time sheets come Saturday afternoon. It's been quite a journey for the Brackley based squad over the last few years. Following on from the Championship winning BGP001 was always going to be a difficult task, made more difficult by the cuts made to survive in 09 and restructuring that followed with the sale to Mercedes. That gestation period comes full circle once more with a new set of regulations, key personnel on board along with investment in infrastructure likely to pay dividends. 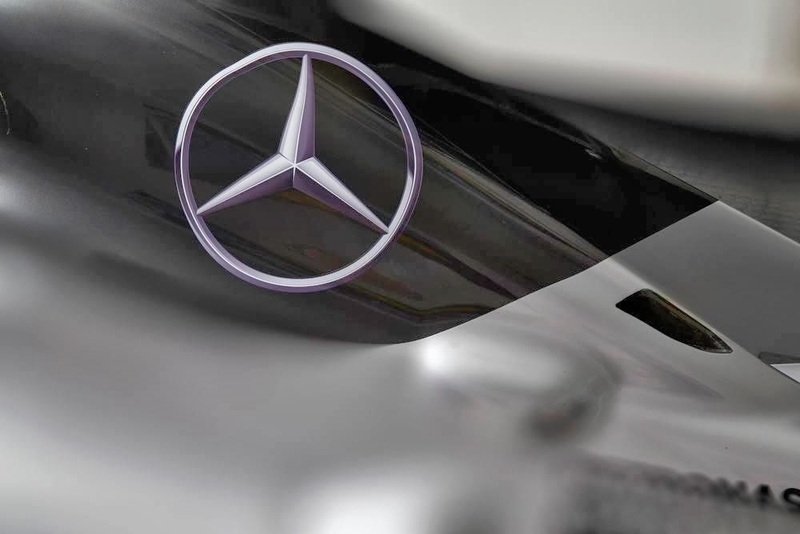 It will be interesting to see how the dynamic changes with Ross Brawn stepping aside and Paddy Lowe taking on the technical aspects of Team Principle, whilst Toto Wolff looks after the commercial aspects, all the time under the scrutiny of none executive chairman and F1 legend Niki Lauda. The teams timing and confidence shown by Stuttgart in order to facilitate the changes may prove crucial, with perhaps the biggest and most pivotal change coming toward the middle of 2012. 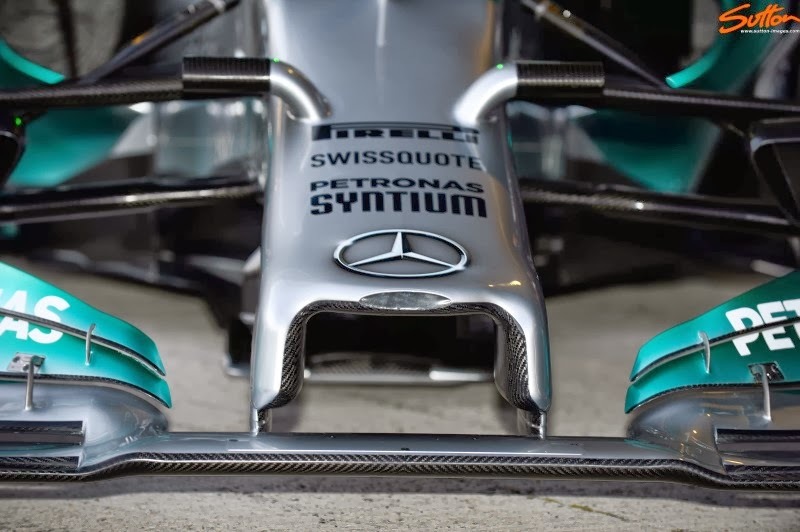 The decision to invest heavily in the team not only inspired Lewis Hamilton to join the team but paved the way for new tooling and modifications to their wind tunnel to take it and production to 60% rather than 50%. 2013 was just the precipice in terms of the results that can be achieved by these changes. With the Coanda exhaust fully implemented in the WO4 and providing a better platform than the job done to place it on the WO3 mid season it provided their fans with some solace. The team also made big strides forwards with their Front Wing design providing much needed new impetus on a design that had been being used as an evolutionary platform since the 09 campaign. Other key areas of the car saw decent development and indicates the team are heading in the right direction for 2014. Having already released several teaser images ahead of the actual launch some of the key design features had been seen before the unveil. larger Cascade we find a smaller one very much (aesthetically) like the one used on the McLaren. The Endplate features a slotted horizontal vane similar to curved version Lotus ran at one race last season. This vane encourages a high pressure gradient against it's lower side to force airflow out of the slot, this undoubtedly helps the region turn airflow outbound. the tip regulations, with one side longer than the other but the opposing shorter side flanked by a Vanity Panel. Slighty rearward of the noses hanging wider pylons we find the much narrower connecting pylons which arc backward to maximise space under the nose. Like Ferrari the team have utilised the mounting of the FOM cameras to glean a small aerodynamic advantage, arc'ing bodywork from the nose over to the mounting points. This adoption reminds me of the 'Elephant Ears' the team used back in the Honda days. At the front of the Sidepod the inlet seems relatively small compared to the McLaren running the same Powerunit, whilst the team have chosen to run the same triangular cockpit strake ahead of the pod as last year. On top of the Sidepod we find two Vortex Generators with opposing designs looking to change the airflow in different ways. The Sidepod Airflow Conditioner is doglegged like last years design in order accentuate the Sidepods inlet profile and allow maximum airflow around toward the coke bottle. Cooling from the Sidepod is taken care of with an outlet ahead and inline with the Suspension pickup allowing space underneath for the airflow to cut around into the coke bottle.. The team have worked hard on maximising the undercut which allows a cleaner flow of air to the rest of the car, mounting the construction spars in a lent backward orientation encourages the airflow to pass over the engine cover aft of it. 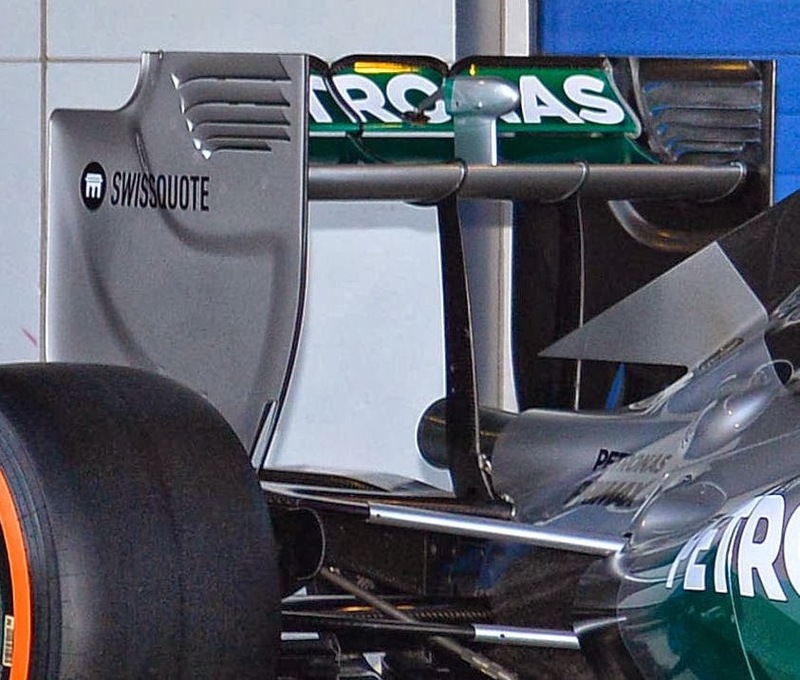 Featuring a Shark Fin to meet with the dimensional regulations we also find a pair of outlets at the base of the fin which undoubtedly aid in the targeting of the exhaust gases exiting behind it. Mounting the rear wing for all the teams this year has been a decision based process of strength over aero, the loss of the Beam Wing has meant that teams either make their Endplates more rigid or run with centralised mounting pylons. 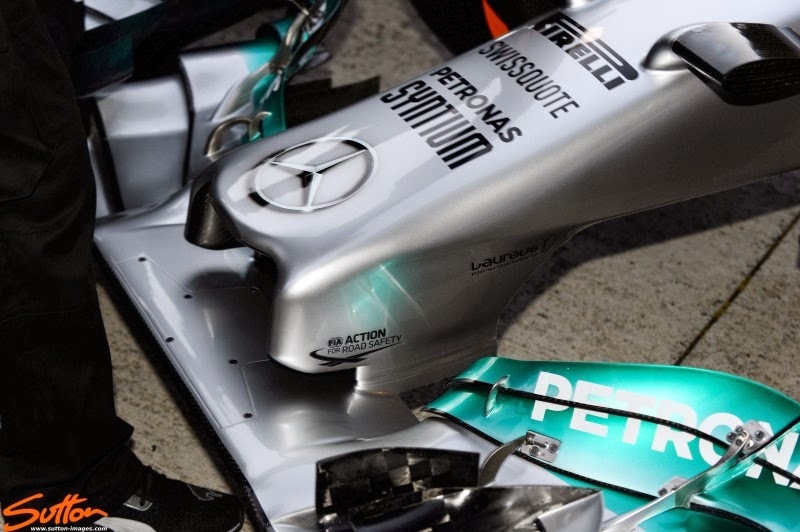 Mercedes have decided to go with the latter option and likely because they have decided to utilise serrations in the Endplates lower rear section. 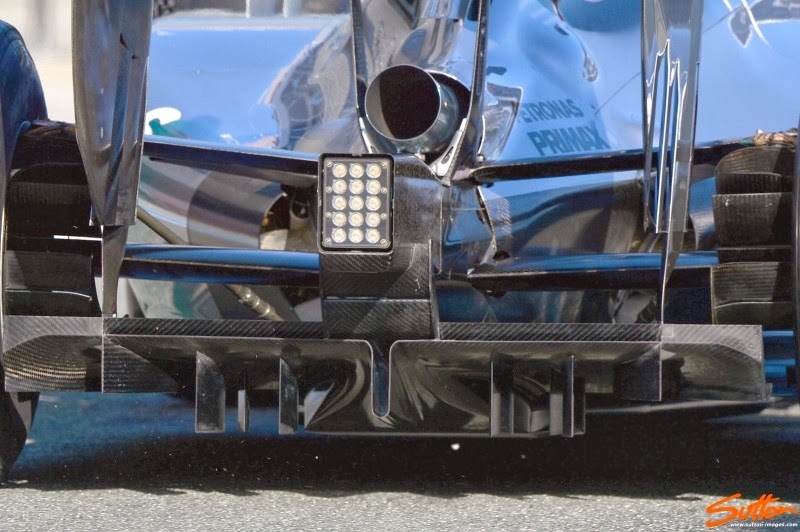 This is a departure for the team who have failed to follow the lead of other teams over the last few seasons in using Trailing Endplate Strakes. The team have retained the leading edge tyre wake slots they used on the W04 but have moved them much closer to the leading edge and run them much lower to the bottom of the Endplate. The catalyst for the move coming from the serrated/fanned trailing sections of the Endplate which will of course aid in creating upwash, something that will be sorely lost along with the Beam Wing. 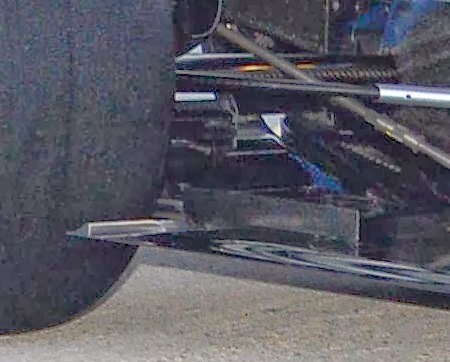 The Diffuser seems to have a very thin U section in the central portion of the Diffuser which collates airflow from the upper surface of the floor ahead of it and uses it to enhance the Diffuser (Dare I say it very much akin to the DDD approach, but obviously no holes within the surface of the floor). Initially it seems to be a fairly rudimentary approach when consider some of the other more complex looking designs around that area but the team could have other components in the pipeline with this less complex arrangement used for initial testing. 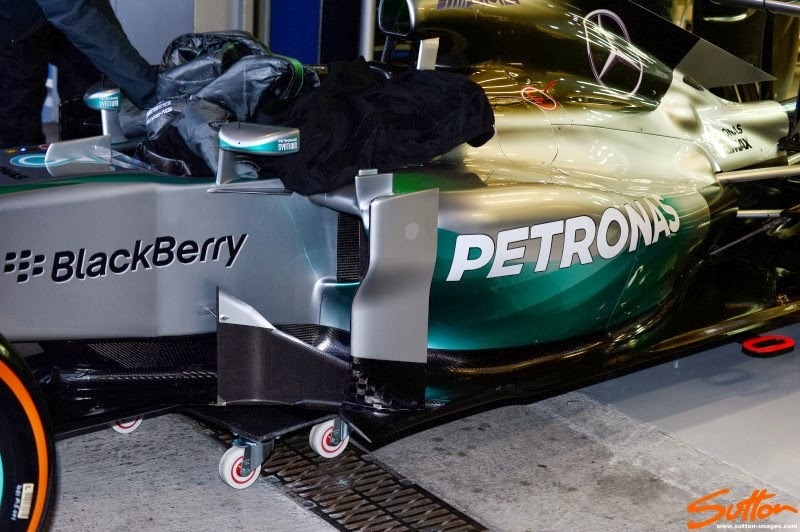 Ahead of the rear wheel we can see that Mercedes have retained the tyre squirt slot that the W04 ran but the Vertical Strake inbound of it has been straightened with it's predecessor having been arched. 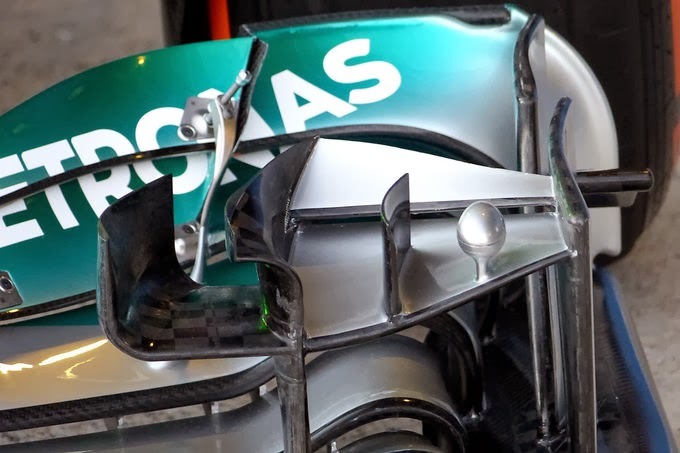 How can you 'see' that the nose of the Mercedes is in essence assymetric as well, like the Lotus? To me it's looks like a total symmetric nose structure.... I understand this helps them to work around the regulations, but could you explicitly point out a bit more how you see that they use a vanity panel on one of the sides? I can see it because if it wasn't made that way it would be illegal. I will draw it out tomorrow morning as Im done for the evening having spent considerable time today working on all the pieces for the site. 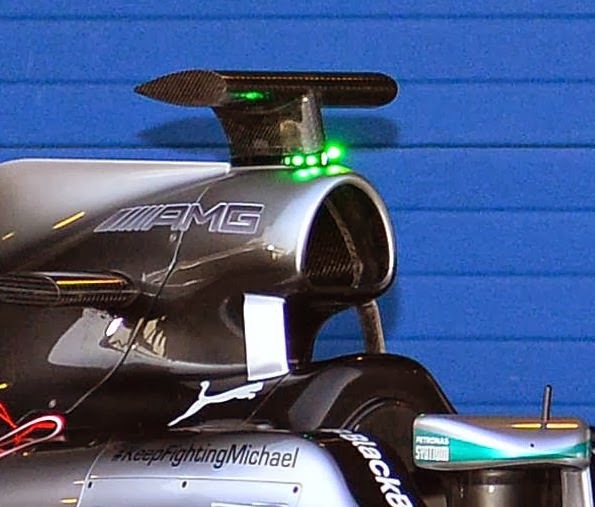 What are the holes in the front wing? I'm not sure as to what you're referring to..
Are the green lights on the camera mount just for the launch from Merecedes? What are the green lights for..? A very sensible location indeed. Much better than on top of the Tub. MS, has there been any rulings on how the cars are to enter/exit the pits? Such as... the car must be driven in full electric mode (petrol engine off) in pit straight during the race weekends? Thanks MS, thats a shame - it would have been very intersting to stand at the end of pitlane and listen to the cars ignite when they drive over the white line back on to the circuit! - One more thing on this topic, the cars were also meant to fire-up on their own... do you know if this is still happening? Nice post which shared a great knowledge about Mercedes AMG WO5 Technical Launch Analysis and is really appreciable. Need more blogs like this.